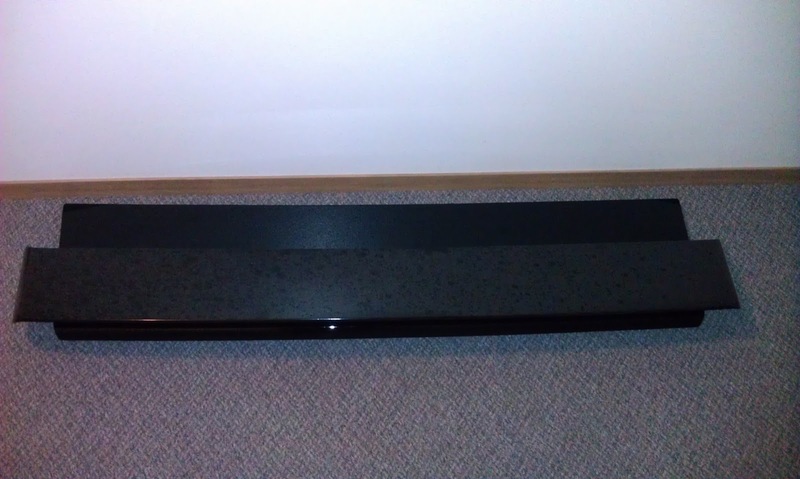 Mario dropped off the trunk lid and spoiler today. These were the last two pieces he still had. The rest of the car will wait until this fall to be painted. He color sanded and buffed the spoiler but not the trunk lid. He wanted to give me the option to choose which finish I preferred. It was raining when he dropped them off so they had dust and water spots on them. I used a damp microfiber cloth to clean them up. I got an email from Billy at Knight Designs today. He said he is finishing up a few orders and then I am up next. I cannot wait to see the 3rd season front nose, rear bumper, and rear stone guards! I just have a quick update for tonight. 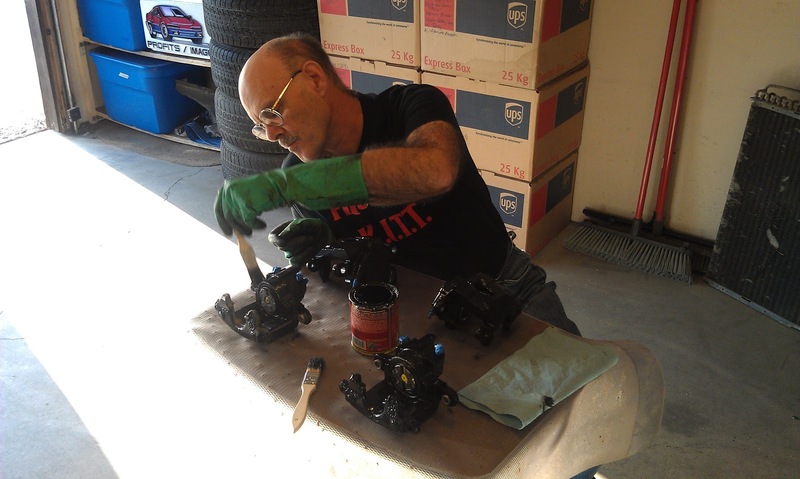 Dad came over and helped me paint the opposite sides of the calipers tonight. Thanks Dad! Tonight I started painting the calipers. The first step was to mask off some of the hardware so I could keep it paint free. 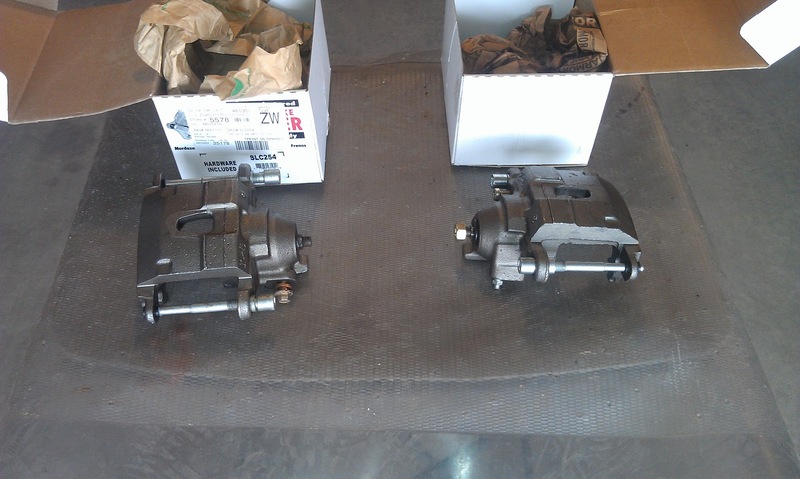 I noticed while doing this that painting the entire caliper in one sitting was not going to be possible. I only intend to paint the outsides of the calipers red, but I want to coat the whole caliper in POR-15 black for the rust protection. On Saturday I started prepping the calipers so I could paint them on Sunday. In between the MarineClean and Prep and Ready treatments I picked up the garage a bit. One thing is certain, space is at a premium now that the hood, doors, and back glass Mario dropped off are being stored in the garage. 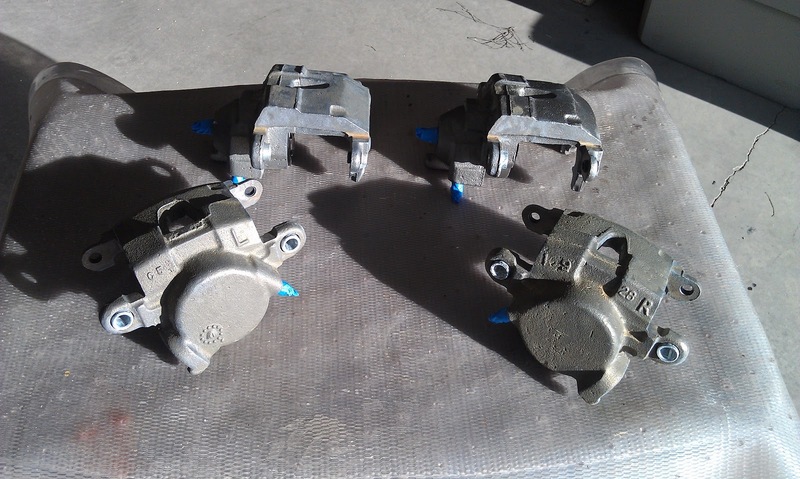 Here are the re-manufactured rear brake calipers. Today after work Sara helped me move the doors, back glass, and front bumper Mario dropped off so we can get the Freestyle back in the garage. We also took the old axles, original driver door, and the donor trunk lid down to Troy's shop. Once he has a full bin he will take them to the scrap yard for recycling.